The Donetsk sector is the hottest spot. Since the beginning of 1 March, pro-Russian militants in Donbas have carried out 29 shooting attacks on the Ukrainian troops' strongpoints. It was the hottest in the Donetsk sector where 16 shooting attacks were registered. In the Mariupol sector, there were 11 and in the Luhansk sector two, the antiterrorist operation (ATO) HQ has said. The militants fired with grenade launchers and heavy machine guns at the ATO troops near Avdiyivka, Opytne, Pisky, Troyitske, Mayorsk, Zaytseve, Maryinka and Luhanske in Donetsk Region and near Bohuslavske and Novozvanivka in the Luhansk sector. Snipers operated near Zaytseve and Mayorsk. Mortars were used against Ukrainian servicemen near Talakivka, Hnutove and Chermalyk. A 82-mm mortar was fired at the strongpoints near Krasnohorivka. 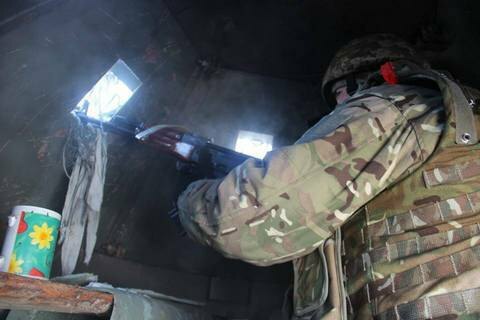 Three servicemen of the 80th brigade died and two were wounded when their lorry hit a mine between the villages of Novotoshkivske and Horske in Luhansk Region. The consolidated mobile team Shchastya was attacked when it was moving between Tryokhizbenka and Lopaskyne in Luhansk Region. Two officers of the Security Service of Ukraine (SBU) and a paratrooper were wounded, their Hummer battered.